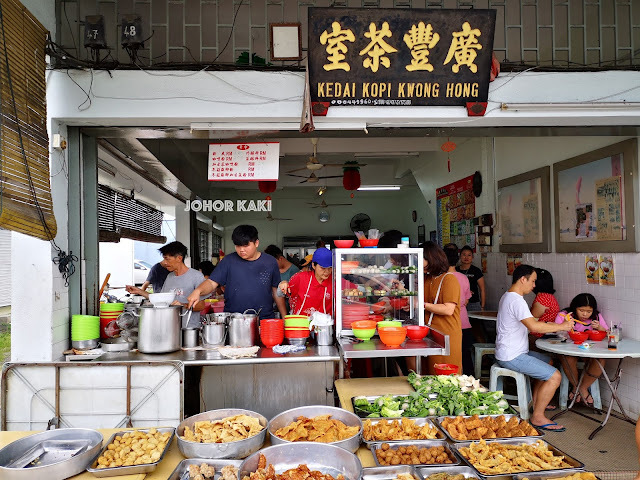 Ipohite buddy Gilbert brought us to Kedai Kopi Kwong Hong Gunung Rapat 广丰茶室酿料粉 which is famous and popular with locals for their yong liew fun (which we call yong tau foo in Singapore). 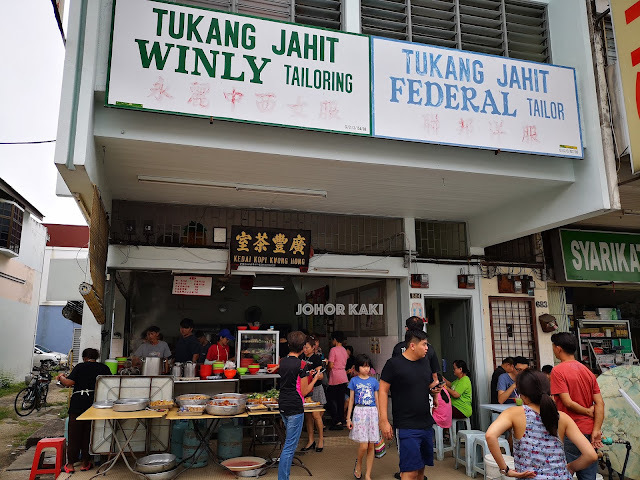 But, the Ipoh version differs from that in Singapore in many ways. 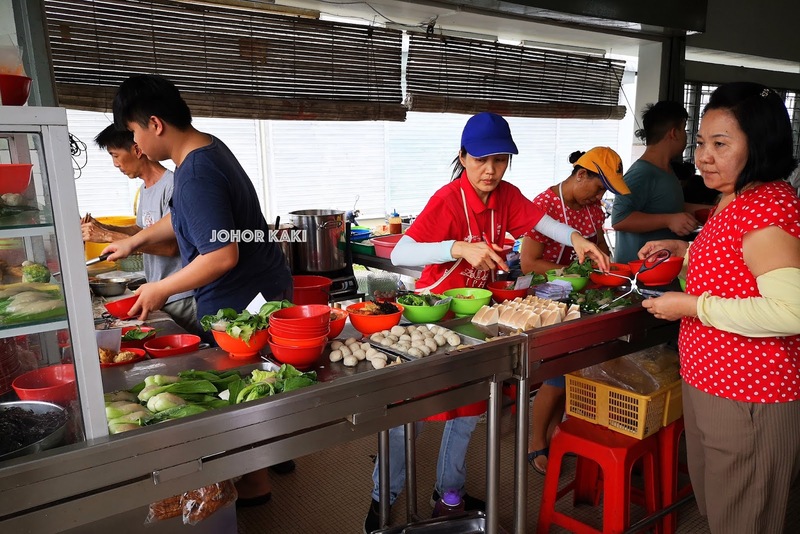 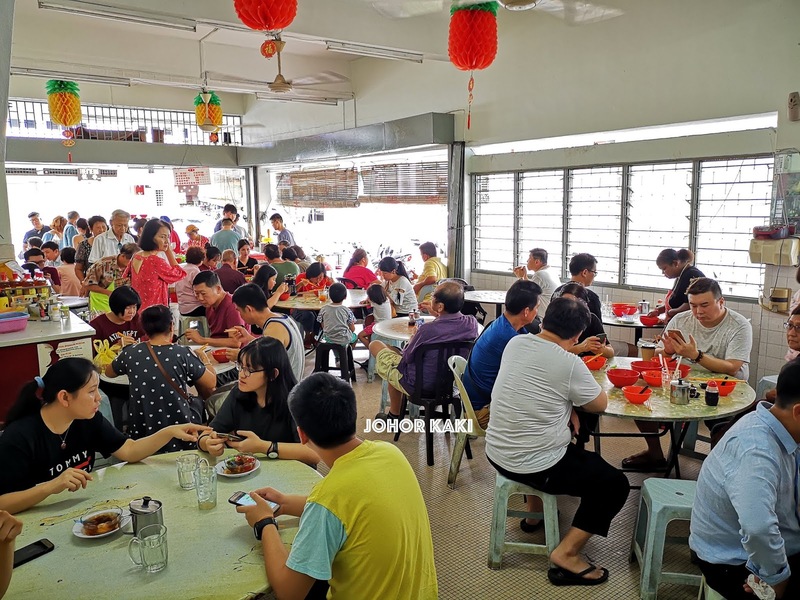 Famous eateries in Ipoh are always packed full of people and buzz. The action at the front was frenetic but everything was very organised. Just pick your choice from the lots of different yong liew and hand it over to the counter staff at the kitchen in front. 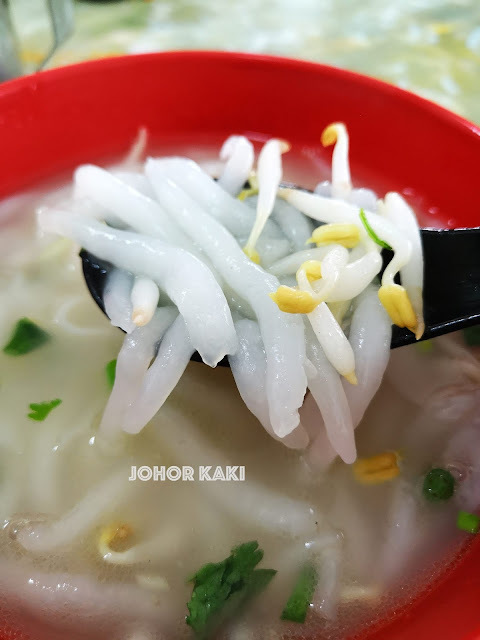 Tell them the type of noodles that you want and whether served with soup or dry (without soup). 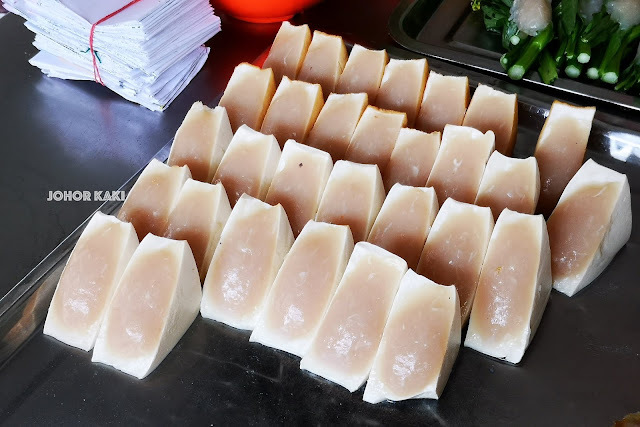 There's the usual tofu filled with fish paste. 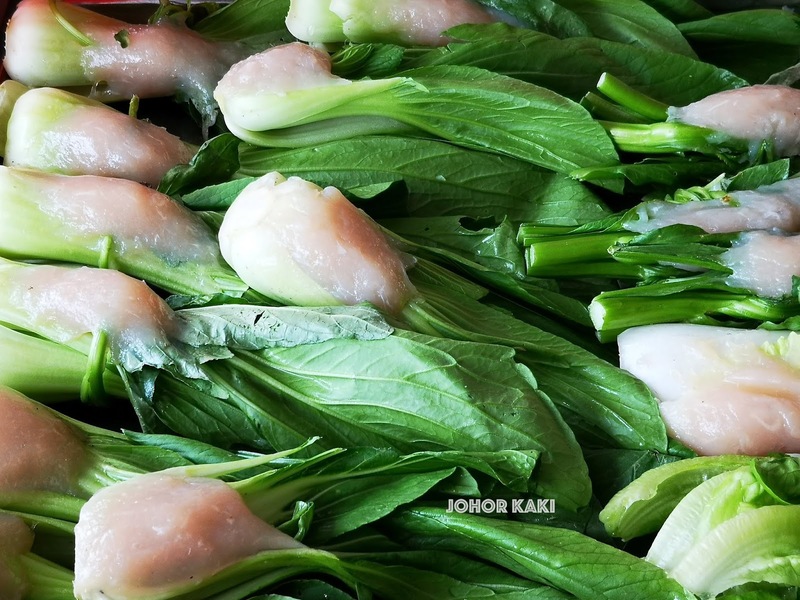 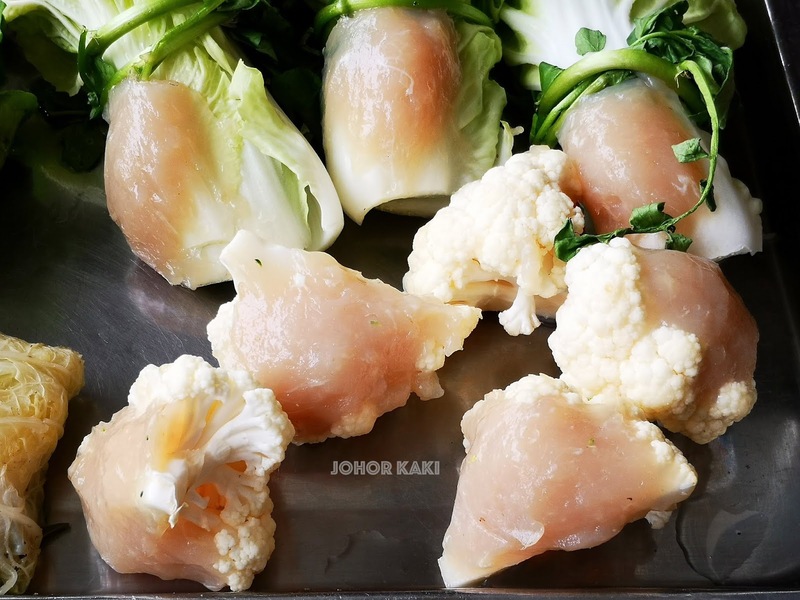 There's lots of other yong liew such as these leafy greens and cauliflower filled with fish paste which I have never seen before. 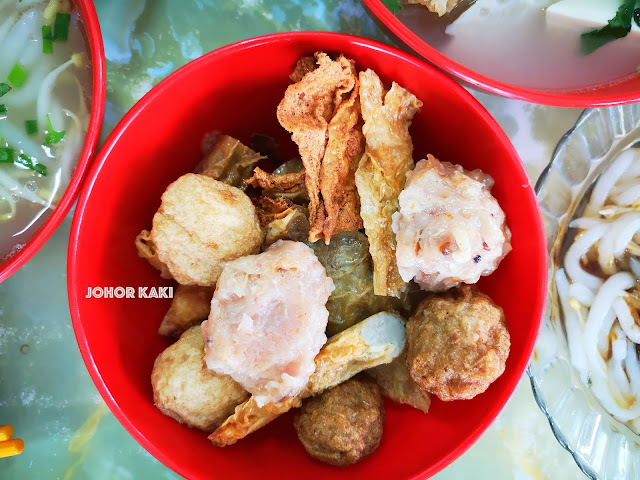 They are really creative in stuffing fish paste in anything imaginable - stuffed mushroom, stuffed baby corn, stuffed fried pig skin, etc. 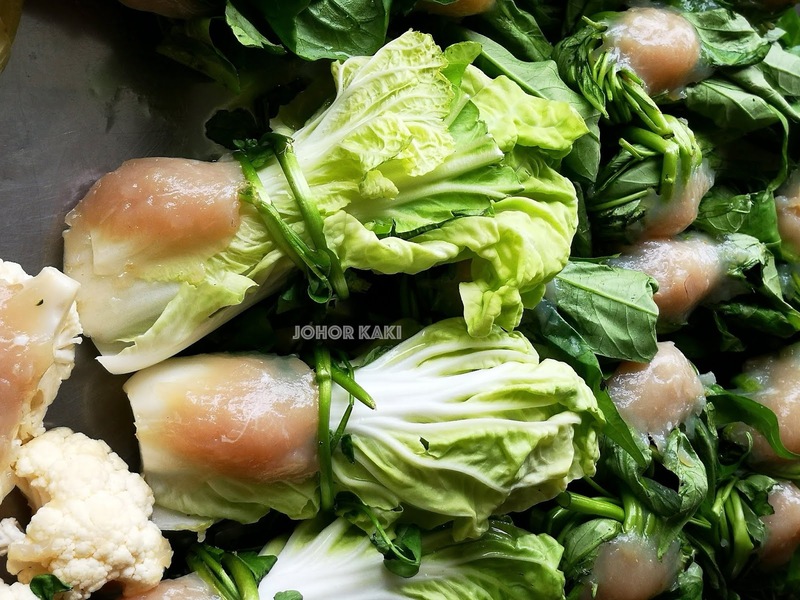 (I am just mentioning a small fraction of what is available). Subtly sweetish bouncy loh shi fun was great in the savoury sweet anchovy and soy bean soup. The fat and juicy crunchy sweet Ipoh nga choi (bean sprouts) were the best thing in the bowl. 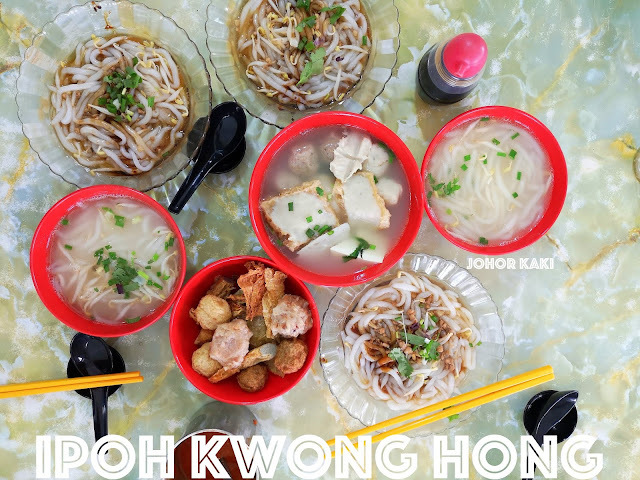 Recommended for you 👍 Kwong Hong yong liew is one of the essential Ipoh food stops for visitors. 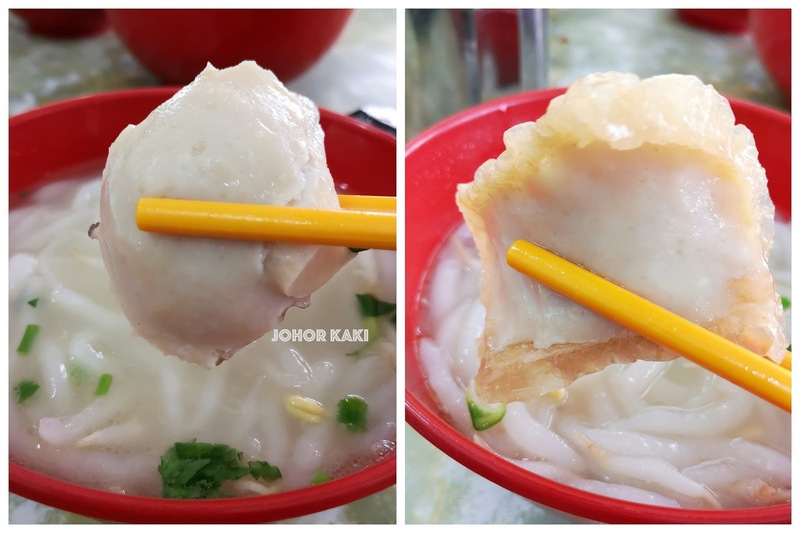 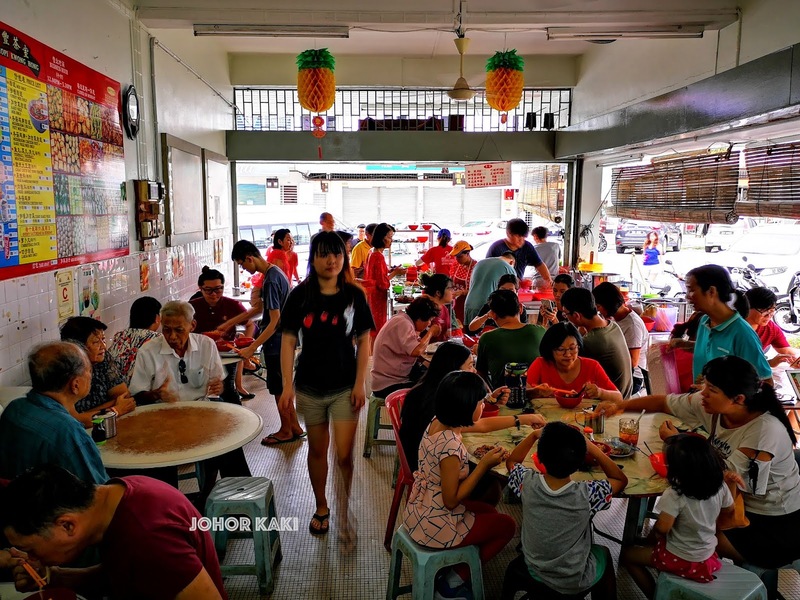 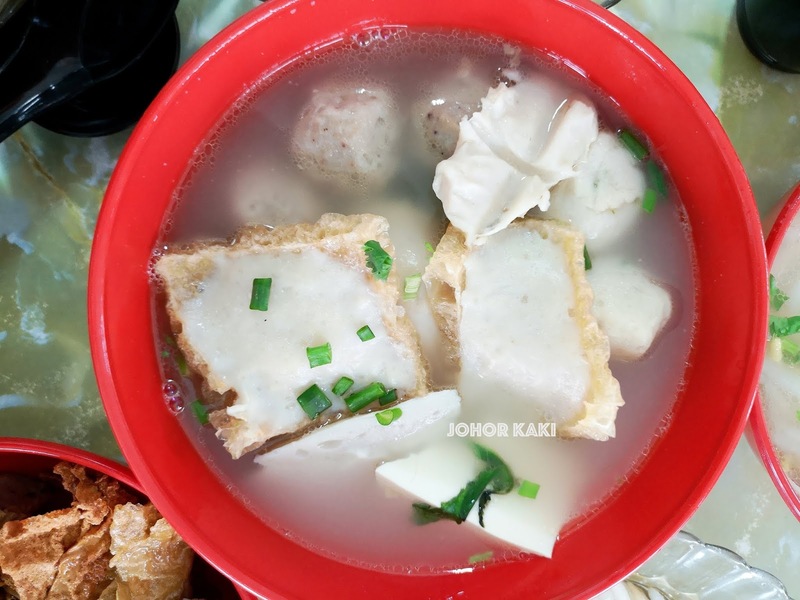 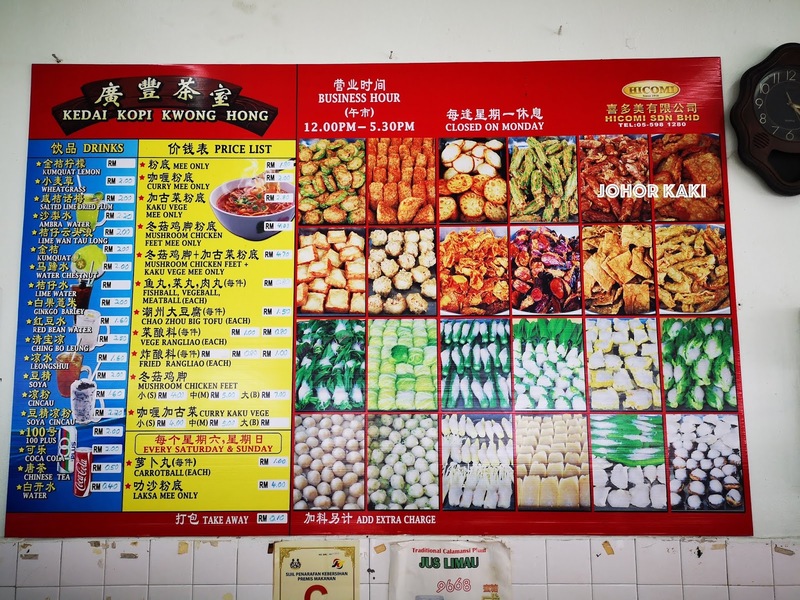 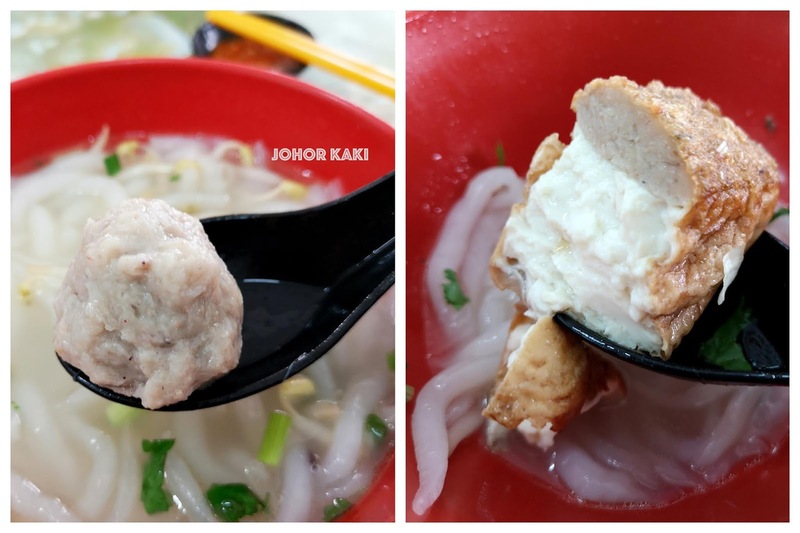 The Ipoh style of yong tau fu is unique and Kwong Hong is one of the best places to taste it.